Very nice. Dusty is my fave! Me too. I love the Dusty! Does he do ipads? How proud you must be! has he thought about opening an etsy store? I wasn’t sure about how else to contact you so I thought commenting on your blog would be the easiest an most effective way! I’m a high school student at an arts school in Australia and have caught onto the sketchbooking bandwagon ever since I bought ‘An Illustrated Life’! I’m contacting you about two things; a thankyou and a favour. 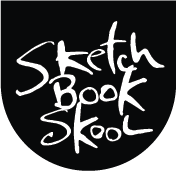 The thankyou: You introducted me to sketchbooking. It’s hard to explain how important that is to me, but because of my sketchbook I got into National Art School. I never would have started it if it hadn’t been for you! The favour: I have to write an essay about an inspiring artist and their practice for my HSC. The HSC is the certificate of achievement you get for finishing high school in Australia. I was wonering if you could answer a few questions for me. Reply and let me know if you have time – that would be great! P.S. My favourite is the ‘Ice Kweam’ one. He could easily sell these on etsy. I’d definitely buy one! Would that I had need for one of these as I love them!! Wow! your son has awesome talent. I love these designs. I see the artist gene runs through the family.